Homemakin and Decoratin: More owls for my Christmas tree! 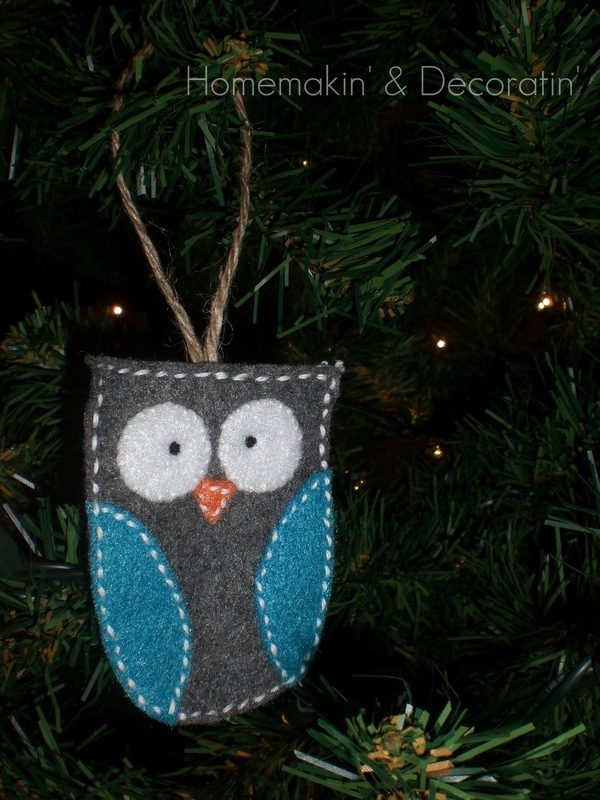 More owls for my Christmas tree! 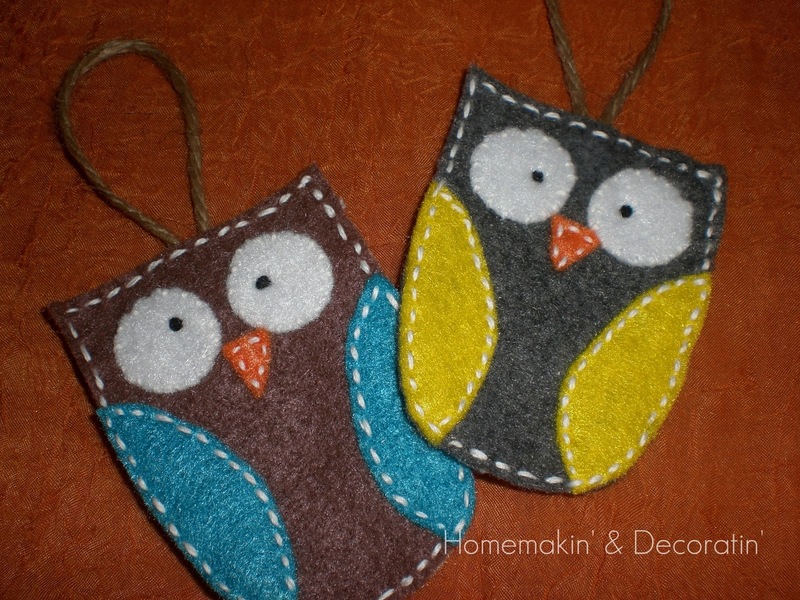 Boy did I get excited about these little owls. I was hoping to make up a bunch of them and give them away, sell them, .. make other projects with them! For now I just made enough to go on our Christmas tree and also send some to my mom and sister for their trees. 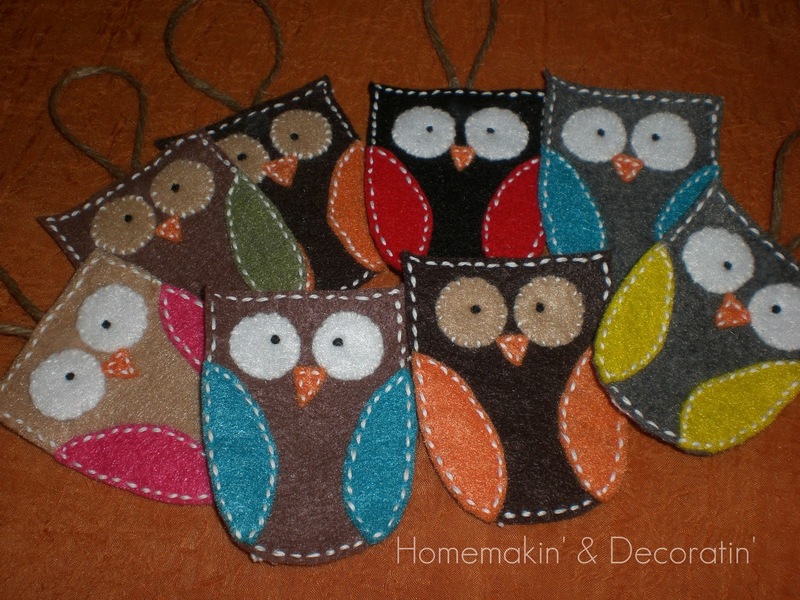 I bought a TON of felt from Michael's craft store and had a blast picking colors for each owl. You could really put any colors together and they would look darling! 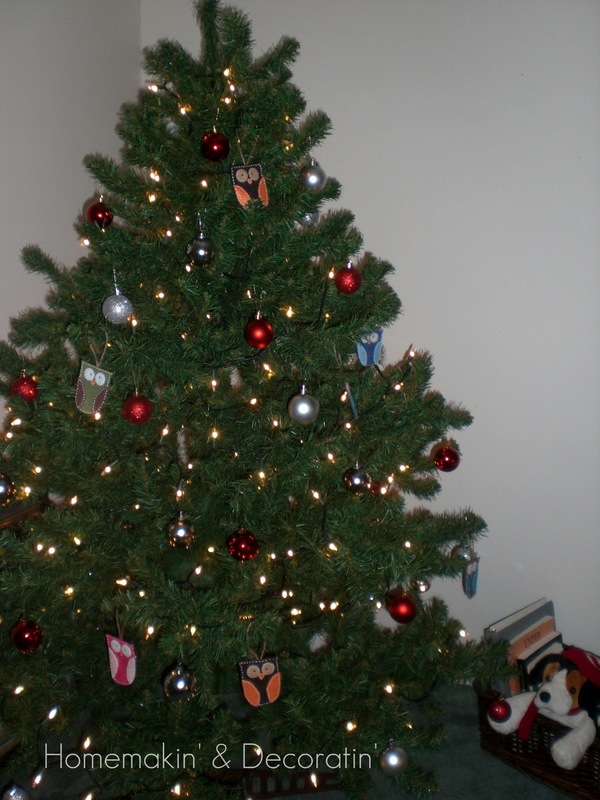 With some cheery Christmas tunes playing, Hubby and I decorated our Christmas tree together Saturday night. And then added the little cuties to the tree! Here they all are! .. kind of hard to spot? I am taking a break from these owls for awhile! oh my goodness! 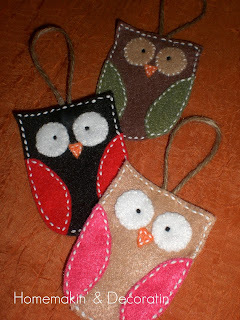 your owl necklace was the first time visiting your blog but now i am your newest follower. i love these owls!! 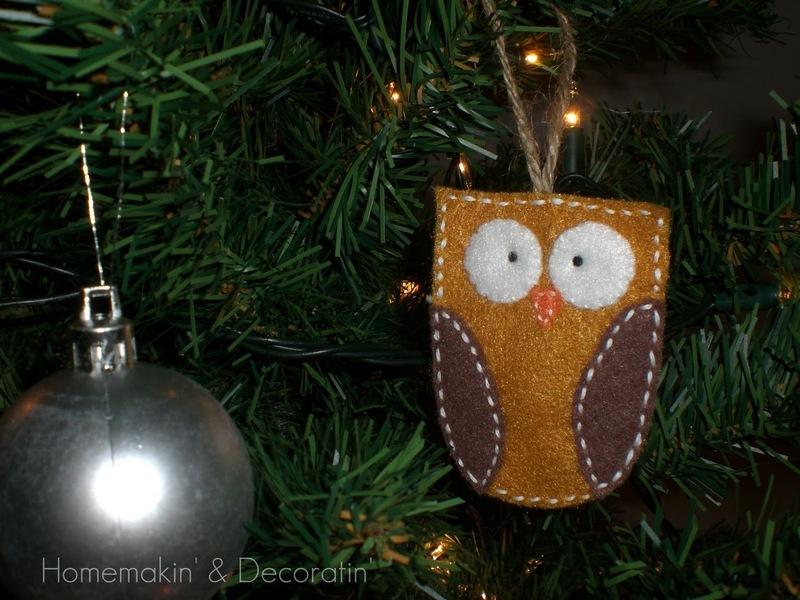 HOO's ready for Christmas decorating? !